I wasn't going to post something today at all but the topic was too awesome. We are indebted to books and authors and reading for giving us the chance to create memories. Books have literally changed our lives. We've made new friends and opened up a whole new world that I personally couldn't have imagined existed in the first place. Harry Potter has a special spot in all our hearts. I came a year late to the party but I guess it was ok since I didn't have to do any waiting for the release of the books. It was one of the first books I had read when I started reading in the first place and it got me hooked to reading. It was with this series that it came clear to me why people liked reading. I laughed, I cried and felt just about every and all emotions during this series, which was just mind-boggling to my eleven year old brain. Who knew reading was so much fun? My naive self certainly didn't. At the time, I felt like I needed to shout to the world that reading was great, like it was some monumental discovery I had made and the world must know. Pfft. Like I wasn't the last to the party. So I had to split this into two because this is a legit story. Book 6- Snape had just killed Dumbledore, I was in denial and weeping, but then it came time to the funeral and he really was dead. I was a mess. Anyway, when I read it, I was alone in the house so I didn't have anybody to unload all my feels. Thinking it was a great idea, I call my dad in his office. He picks up the phone to me crying my heart out, I could barely breathe. Naturally, he went into panic mode and thought our house burned down. He asks me if everything was alright then I literally wailed into the phone, "Dumbledore dieeeeeed! ", hanged up and proceeded to cry all in my lonesome. I got an earful about it when he came home, how I nearly gave him a heart attack and I should never do that again and blah blah blah. I was still too upset to pay much attention to whatever he was saying. That memory always bring a smile to my face. I love my library. I don't have money for books so libraries are a godsend. I was still all new to reading and libraries and whatnot so I didn't know that you could request books online and the branches that had copies could send it to your local branch for you to pick up. I didn't know that. You know what we did? My dad and I checked which branch the books were available at and drove there. Some of it ages away but we went anyway. We ended up visiting so many libraries and it was real fun to see what the other branches looked like. I do everything online now but I'd love to do it again. 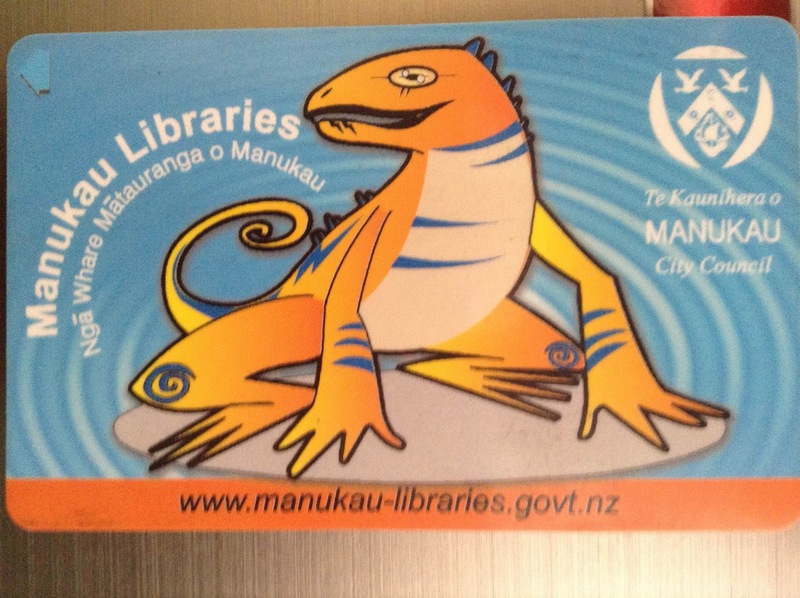 Also, it reinforced my love for my local library because seriously all the other ones were too loud with too many five-year olds, too quiet with old people, their stocks too small and their layout too confusing. My library is not the biggest or the most cool looking but it's seriously the best. It's my library card. It's the one for kids but I don't care. It's not a dinosaur (although that would be super cool). It's a tuatara. But I'm pretty sure they're cousins so it's still super cool. One of our favourite things to do as book lovers is to share our love for books. We all love giving recommendations. It's just unfortunate that I don't know many people in real life who liked reading. But I finally convinced one if my best friends (doesn't like to read) to read The Book Thief (all-time favourite). I was super scared that she wouldn't like it. Sure it's amazing and the best thing ever, but it's not exactly the easiest thing to read if you're not a reader in the first place. But, good news, everyone! She loves it and pretty much all the other books I loved and recommended to her. She passed the test and it doesn't matter so much that she doesn't quite have the same passion for books as I do because she loves all my favourite ones. I had Social Studies with one of the few friends I had that read and it was the most boring hour of the day. How did we pass the time? We sat at the back corner and talked and fangirled about books for the whole hour, every day. We had all these games and competitions about Harry Potter, reminisced about that part that made us bawl like a baby (the whole of book 7), tried to list all characters mentioned in the series during a particularly dull lesson. We also both loved Percy Jackson so when Son of Neptune came out, we read the book together, me finishing it in two days while I chastised her for dragging it out and reading slower. We spent a lot time discussing Mark of Athena and what would happen with the camps and the prophecies. The most sleep-inducing lesson of the day ended up being the one I looked forward to the most. It was great. Oh, but don't worry. (You probably weren't) we passed the class with flying colours. I haven't gone to any author meets or cons before because I live on the other side of the world and I don't even know New Zealand authors. But I'm going to meet an author and other bloggers and go to BEA if it's the last thing I do. What are your bookish memories? Share them with me on the comments!